Do you need a 2019 Model Calendar? Have a look at this example Calendar! Customizing your own calendar template is easy. It can be further edited via your own computer after you downloaded it. In our collection, you'll find a variety of monthly or yearly calendar templates that are ready for a free download and after some customization, ready to use in your home, office or school. Choose from professionally designed templates for Microsoft Excel and Word, PDF, and Google Docs. Options include printable calendars with landscape or portrait. Each printable calendar is a professional-looking template in MS Word, Excel, PDF format. Download your free printable 2019 Model Calendar template now! 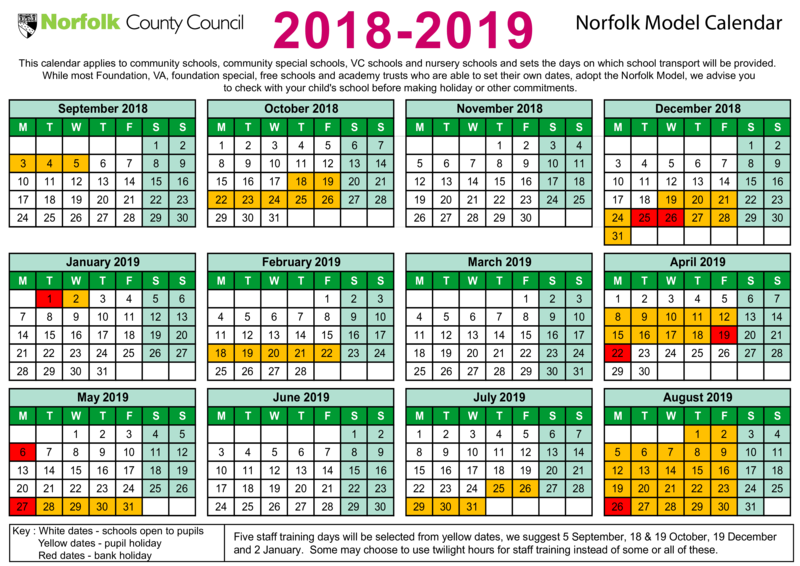 September 2019 M T W T F October 2019 November 2019 9 White dates - schools open to pupils Yellow dates - pupil holiday Red dates - bank holiday Five staff training days will be selected from yellow dates, we suggest 5 September, 18 19 October, 19 December and 2 January..